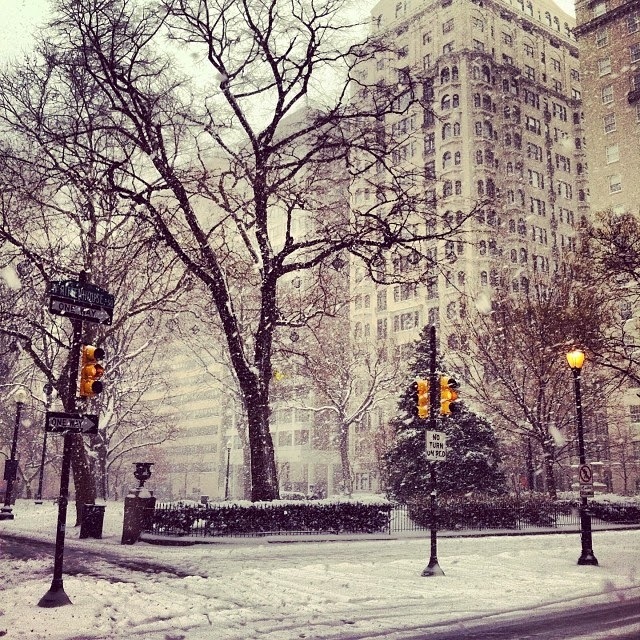 Philadelphia's Rittenhouse Square mid-storm. So beautiful and peaceful. 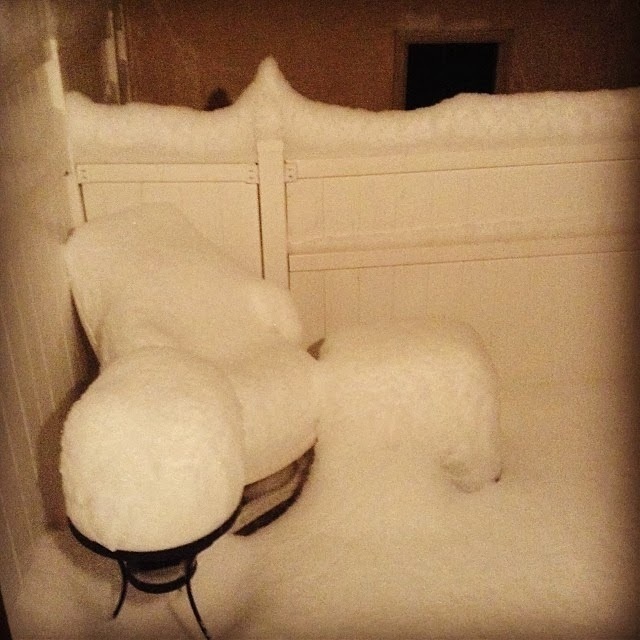 It’s no secret – we’ve had some pretty serious snow in Southeastern Pennsylvania this year. A few inches fell here and there earlier in the winter, but mid-January, Philadelphia got over twelve inches in one day. Though the few big snowfalls we've had this year aren't necessarily normal, I've never met an outdoors-person who complained about an early start to ski season. 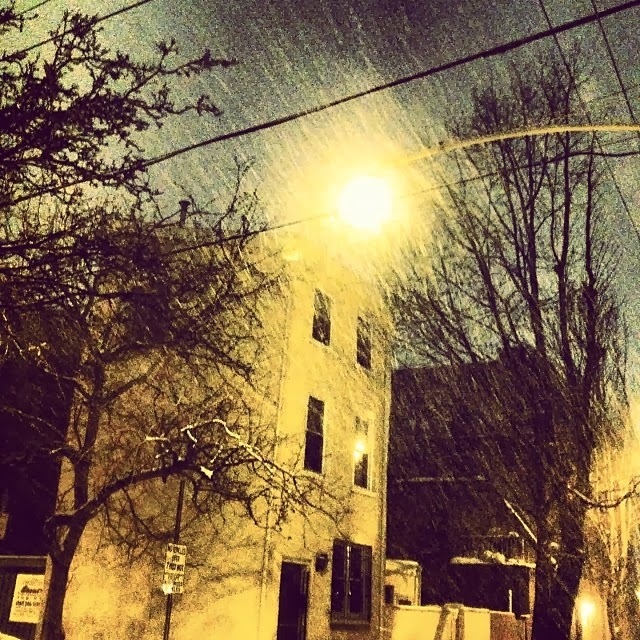 Weather like the weather we've been getting can make a complete mess of travel in and around urban areas like my current area of residence - Philadelphia - but the gargantuan amount of fluffy stuff presents a pretty great opportunity for anyone open to the possibility to remembering what it’s like to play. After spending a few days adventuring in and around Grand Teton National Park, Yellowstone National Park, and Utah, a little bit of snow didn’t seem like a big deal at first. How could a foot in a major city compare to what we had access to in the country’s first national park, for example? Snowshoeing, cross country skiing, alpine skiing, dogsledding and all of the other incredible opportunities for outdoor recreation aren’t something those of us who live in urban areas like Philadelphia have available on a regular basis, and for that reason, when they are available, they’re pretty special. Snow, snow, and more snow, and it just kept coming down! Though we have plenty of state and local parks nearby, Philadelphia doesn’t have big mountains like Utah, or stunning geothermal features like Yellowstone, but as I learned, it’s still very much possible to have a memorable adventure outdoors, even when you least expect it, as long as you're open to them. After one of the big snowfalls this year, a fellow snow lover and I met in a small city park one evening because we’d both lamented about not remembering how to really play in the snow – the kind of play that doesn’t involve lift tickets or a gear closet full of equipment. The kind of play that makes you feel silly at first, but then after a second, the amount of fun you're having forces you you abandon all adult sensibilities. The result? Emotionally and physically freeing levels of enjoyment. I'd bundled up head to toe – base layers, snow pants, ski jacket, hat, gloves, the works – and prepared to spend as much time as I could stand running around in the snow. We made snow angels and did our best to make snowballs despite how dry the snow was. We played on a playground that was much too small for us, including careening down a snow-covered slide into a snow bank. We fell into snow banks in the park and on the way home, entirely on purpose. I caught myself thinking about the lack of good sledding hills and contemplated trying to build a snow fort before heading inside to drink as much hot cocoa as I could handle. My patio post-storm, definitely not a normal look! If there’s any lesson to be learned or reinforced from that night playing in the snow, it’s the importance of making room for everyday adventures in our lives. 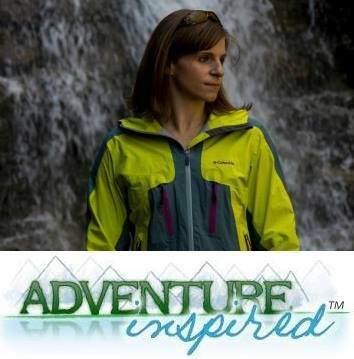 An everyday adventure might be different for everyone; what might be a normal occurrence for someone else might be a wonderful, exciting adventure for me, like the opportunity to make snow angels and have snowball fights. As inspiring as it is to explore new places, we don’t have to take epic trips across the country to enjoy being outdoors. My night playing in the snow with reckless abandon in a tiny park in Philadelphia was a wonderful reminder that being open to the possibility of adventure everywhere can make life a lot more exciting. So, this winter, get outside and have your own adventures, big and small, and make sure you don’t forget what it’s like to play! Thanks to friend Eliz for inspiring me with her "tiny adventures" series. What tiny adventures have you had recently? Love this! I always refer to these as "micro adventures"-- those little fun days that you can find anywhere if you really try!